FOR financial reasons, Basak-San Nicolas Barangay Captain George Rama said he doesn’t want Lumad Basakanon to join in the Aliwan Festival in Pasay City in April. In an interview with Sun.Star Cebu yesterday, Rama said they need at least P3 million to join Aliwan, an amount which for him is too big to raise. Rama said he would prefer that such amount be used to address different problems in the barangay or in the city, or to help typhoon and earthquake survivors. “Ganahan ko muadto. Ganahan sad ang mga dancers. Pero daghan pa kaayog problema oy. Daghang trahediya. Kung muadto mi didto dako kaayo ang gasto kay mahal man ang plite (I’d love to go. The dancers would love to go. But we have so many problems right now),” he said. Rama said they will have to spend for the boat fare from Cebu to Manila and back for the estimated 400 dancers, props men and support staff of Lumad Basakanon. It does not include yet the different committees for the contingent. Asked if they will not use the more than P2 million they won in the Sinulog grand parade, Rama said he prefers that the money be divided among the Basakanon dancers and props men. It will serve as a reward for them for all the effort they put in during the three months they practiced for the Sinulog grand parade free interpretation category, he said. On asking financial assistance from the City, Rama said he is not optimistic about it, considering that the City Council rejected their request in 2013. Sinulog Festival 2014 Grand Parade and Ritual Presentation Official Results Winners. Congrats to Tribu Lumad Basakanon of Brgy. 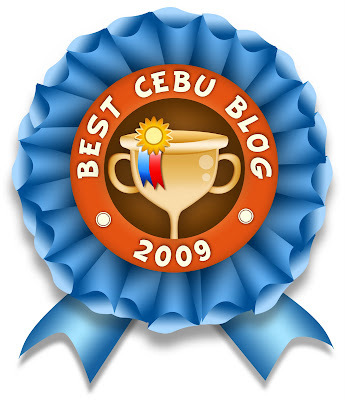 Basak San Nicolas Cebu City for being declared yesterday grand event Sinulog 2014 as champion in the Free Interpretation Category. Congrats!! Here are the Official Results, Sinulog 2014 Winners. And she is Ms. Christine Jael Abellanosa contestant no. 8 from Tribu Tinubdan sa Kauswagon Contingent of Tuburan Cebu, declared yesterday competition as Sinulog Festival Queen 2014 at Cebu City Sports Center. Not just Festival Queen but Ms. Abellanosa grabbed all the special and corporate awards.She was Best in Festival Costume, Best Festival Costume, Best in Instrumentation/Musicality, Best Solo Performer, Best in, Production Presentation, Miss Casino Femme, Miss Devant, and Medicarb's Miss Friendship. During also the runway competition held at SM City Cebu Northwing, she was also declared as Ms. Festival Queen SM City. Wow!! well, proud this young and lovely lady. 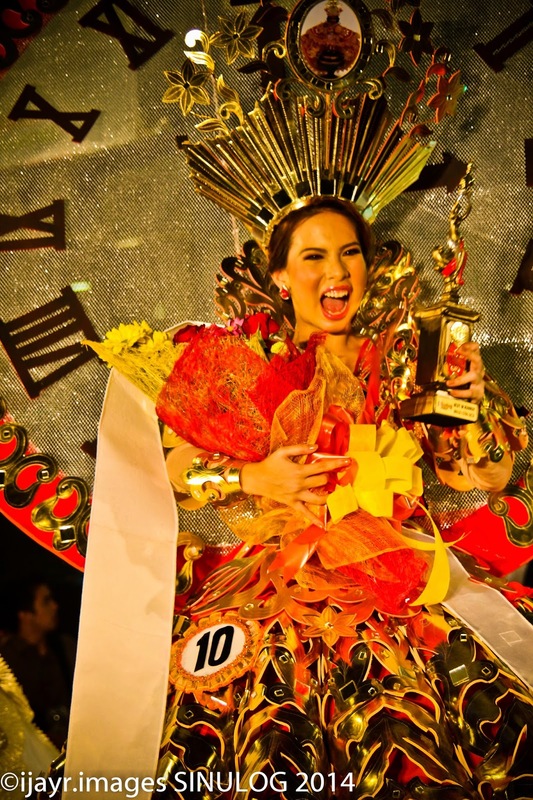 Here are the remaining winners of Sinulog Festival Queen 2014. Congratulations to all the winners, Viva Pit Señor! January 17, 2014 -The big event for the search Sinulog Festival Queen 2014. 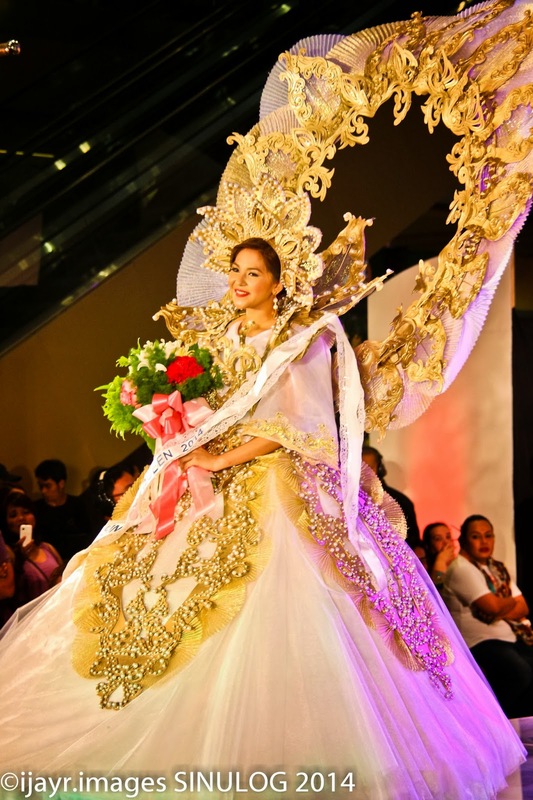 The pageant is part of the Sinulog Activities and each year festivities there will be declare a Sinulog Festival Queen. The search is not only a beauty pageant but it is search for the Lead Dancer who will stand and model for there represent contingent. The declare winner will receive a crown, trophy and cash of P50,0000, while the remaining winners will also receive a consolation prizes. Here are the 11 lovely candidates for Sinulog Festival Queen 2014. Watch this all lovely young ladies as they perform there ritual dance at Cebu City Sports Complex 7:30 in the evening, tickets will be available at the entrance gate of sports complex. Good luck and congrats to all the contestant for the search Sinulog Festival Queen 2014. Pit Señor!! !